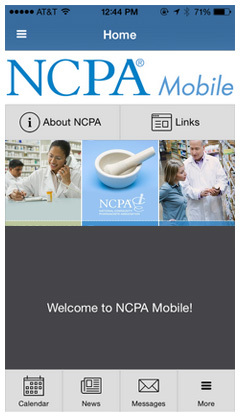 Tap Our App – Download “NCPA Mobile” Today! Don’t be left out of the latest news affecting community pharmacy – download our app, NCPA Mobile! Available for iPhone, iPad, Android, Blackberry, and any web browser-enabled smartphone, the app provides easy-to-use interactive capabilities to help you stay up-to-date on the latest news from NCPA as well as enhance your convention experience. iPhone and iPad users—download it here or search “NCPA Mobile" on the Apple App Store. Android users—download it here or search “NCPA Mobile" on the Google Play Store.